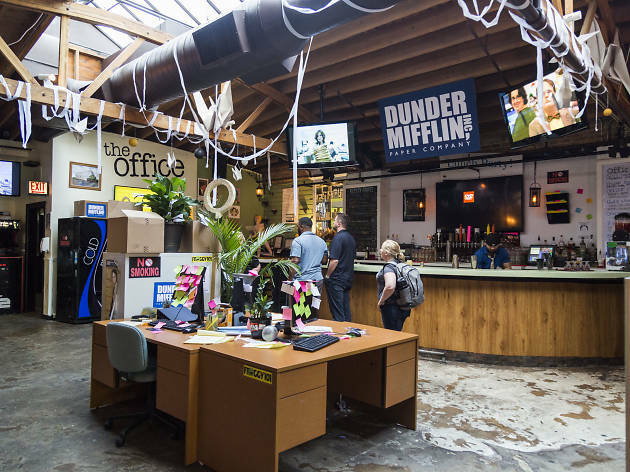 The Party Planning Committee at Replay Lincoln Park is reviving its wildly popular The Office-themed pop-up bar for the holiday season. Drawing inspiration from the TV show's Christmas episodes, Replay will host festive parties and events throughout December, including Classy Christmas and Moroccan Christmas. (We can only hope there's an Andy lookalike playing a sitar for entertainment.) Programming will kick off on Friday, November 30 at 7pm. 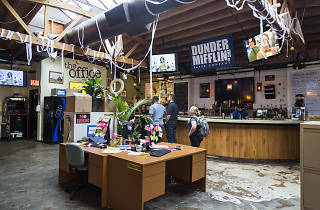 Stop in on Thursday, Friday and Saturday nights to check out Café Disco, themed after Michael Scott's infamous espresso-fueled dance party, where DJs will spin hip-swaying tracks starting at 9pm. Guests won't have to worry about buying tickets or paying cover: The monthlong event is free to attend and open to adults of legal drinking age. The pop-up ends with “The Ultimatum” New Year’s Eve Celebration on December 31. It's the run's only ticketed event, and early-bird passes will be available soon starting at $50. (You'll have to watch episode 13 of season 7 if you want to see how that one works out.) Take a look at the full schedule below and keep an eye on Replay's Facebook page for additional details and new events.